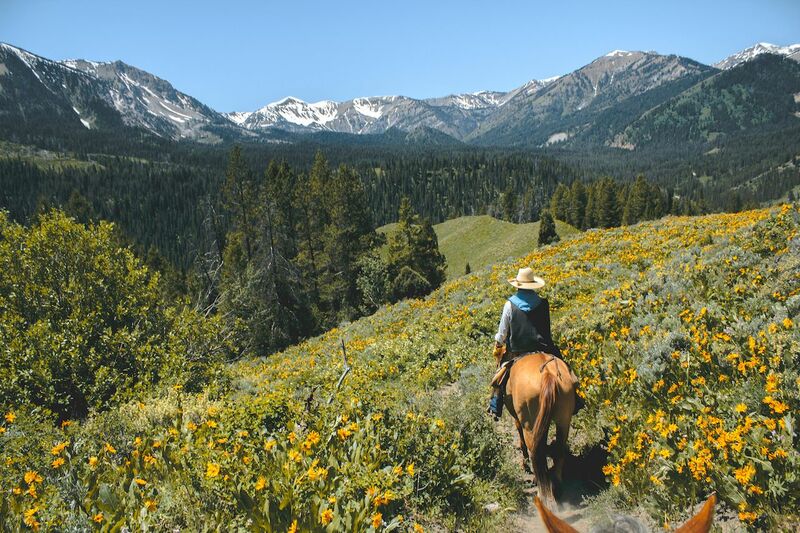 Whether you’re an avid equestrian or you’ve never ridden before, exploring the wilderness of the United States on horseback is a thrilling experience. Varied ages and skill levels can enjoy trails with the help of a professional guide, and many trails are open for the public to explore on their own horses, at their own pace. 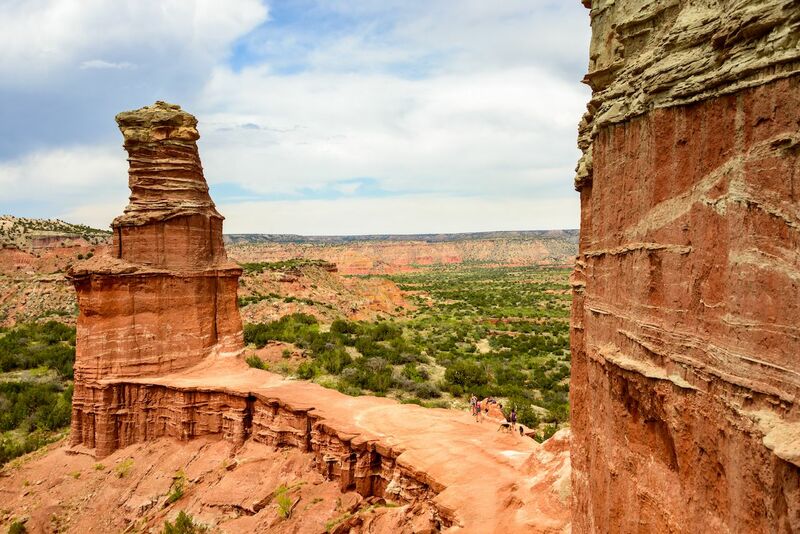 You can trailer your own horse to a trailhead, rent a horse from a stable, or schedule a day trip complete with a guide who is knowledgeable about the local history, plants, and animals. From beaches to mountains, national parks to public land, here are the seven best trail rides in the United States. Ask any horseperson — or romantic comedy buff — and they’ll tell you nothing beats riding a horse on the beach. Inlet Point Plantation offers day trips with packed lunches, as well as special sunset rides. Experience the magic of the surf with horses who are comfortable plodding through the shallows at an easy pace. If you want to up the thrill factor, rent a private horse or trailer your own horse and gallop down sections of private beach. 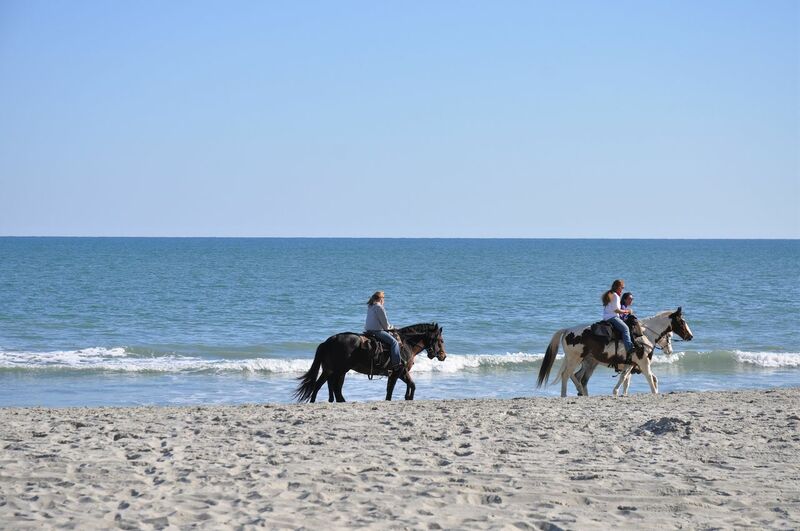 Trail riding in Myrtle Beach during the off-season provides extra perks like cheaper accommodation, fewer crowds, and a higher chance of spotting dolphins in the surf. You can even book a private ride upgrade, which is perfect for proposals and anniversary celebrations. Leave hoofprints in the sand as you live out your very own Hollywood romance. Grand redwoods stretching toward the sky create a shady riding experience of relaxation and wonder like no other. Horses usually make humans feel small, but that feeling is nothing when compared to the towering redwoods. Redwood Creek Buckarettes offer three distinct tours to meet the needs of your family. They are scenic, include photographs of you inside one the giant trees, and are suitable for children seven and older. Not only will you learn about the history of the redwoods, but you’ll also understand the local flora and fauna. 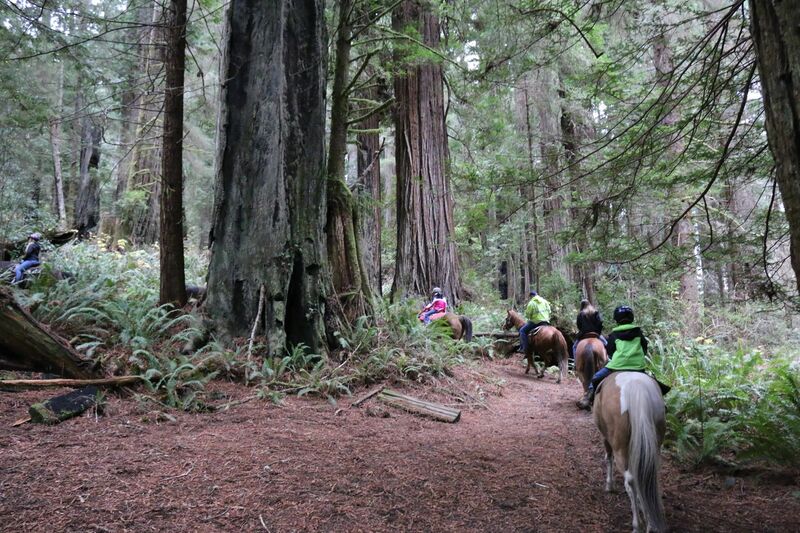 These redwood trips are great for novice riders because all trails are completed at a horse’s walking pace. When you’re craning your neck at the treetops, a walk is all you really need. 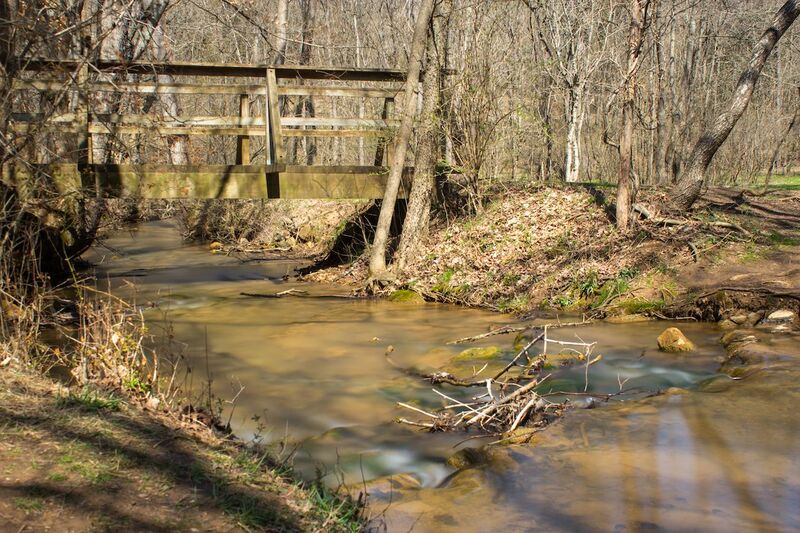 If guided trails at a walk sound like a snooze-fest, head to Panther Creek State Park in Tennessee. You can trailer your horse directly to the trailhead and explore over seven miles of trails. Some are flat, straight paths perfect for a gallop, and others are steeper and suitable for endurance training for fitness. Remember to bring current Coggins papers on all horses — which, as horse owners know, are essentially the horses’ health papers — and stick to the designated trails. The park itself sits on over 1,400 acres and boasts separate hiking and mountain biking trails. With a disc-golf course, boating, swimming, and campfire rings for cooking, your day in and out of the saddle will be full of memories. Few places in the world rival the majesty of the Teton Mountains, which are renowned for their awe-inspiring precipices. Riding in their shadow is an experience you’ll remember forever. Local guides offer rides for a variety of skills and riding levels. The best part about going with a wrangler is learning about the rich habitat of Wyoming’s mountains. With abundant wildlife and the bluest skies, you’ll relax in the large Western saddles, as your horse guides you carefully through the sagebrush. While in Jackson Hole, you’re within driving distance of Yellowstone National Park, where they also host guided trail rides. If you really want to experience time in the saddle, book a trip at both places, and immerse yourself in the glory of the West. This park is perfect for horse owners and horse enthusiasts because it caters to both. If you own a horse, trailer in for a day of trails on over 1,500 acres. The trails also have primitive campsites available, if you want to spend the night stargazing with your favorite four-legged partner. 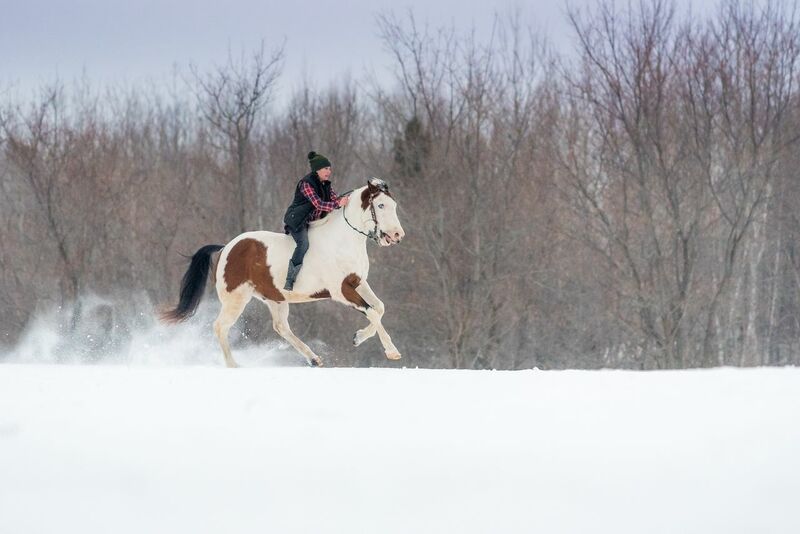 For those who don’t own a horse, you can book a trail ride with Old West Stables. Whether riding your own horse or theirs, expect to see rugged beauty as you travel alongside blooming wildflowers and geographical wonders. Keep a sharp eye out for rattlesnakes and feral hogs. If that intimidates you, book a guide, and brag about your grand adventure with friends over dinner. Known for their floppy ears, sure-feet, and docile temperaments, mules make the perfect vehicle to descend into the depths of the Grand Canyon. 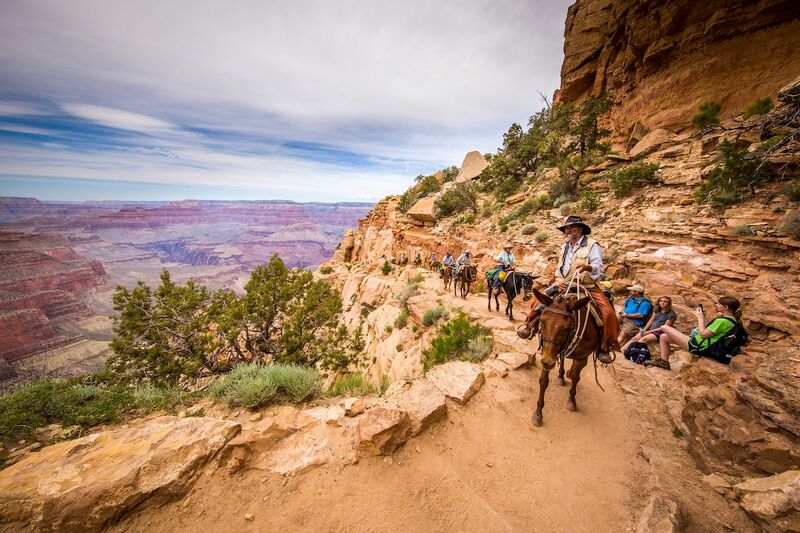 To fully experience the sheer size of the Grand Canyon, book a trip with Canyon Trail Rides, a guide company that offers three different riding packages. The ultimate package is the trip to Supai Tunnel, which lasts three hours, and descends 2,300 feet into the canyon. It’s amazing to see the Grand Canyon from the rim, but riding in its depths is an experience never forgotten. You can also explore the designated riding trails on your own horse at both the North Rim and South Rim. If you plan to camp overnight, get a backcountry permit from Grand Canyon officials, and wherever you ride, bring a certificate of a current negative Coggins test for each horse in your group. The entire state of Minnesota is a trail rider’s dream year-round. With over 1,000 acres of rideable trails throughout state parks, forests, and public lands, owning your horse and hitting the trail is accessible across the state. Thirteen Minnesota state parks have campgrounds to host you and your horse, so you can spend an entire weekend riding sunrise to sunset, and have a safe place to unwind with your horse. Toilet facilities are available at each site, and many offer electric hook-ups. A list of trails and campsites can be reserved online. Remember, when riding on state land in Minnesota, each rider must carry a signed Horse Trail pass in their immediate possession. For a day ride, the pass is $5, but with over 1,000 acres of trails, the year pass is worth the cost at only $21 per person over age 16.